“Yay! Right on!”, exclaimed Oswald who sat up out the doze he was settling into before I turned on the radio. We were driving out to the Eastern Townships last week listening to The Current on the CBC. Azar Nafisi was speaking. She was talking, passionately, about her new book, The Republic of Imagination, or rather about her ideas – and ideals – which are expressed in this book. Oswald is an easygoing guy in many ways, but he has no patience for dullness. And dullness has been on his mind lately. “Shh – let’s listen to the rest of the show…. “ Which we did. Ms Nafisi kept saying over and over how important it is to develop our imaginations. How we need them to understand a difficult world and what it means to be human. We need to imagine a better world and then work towards that world in our actions, in our work, in our political choices and in our communities. Imagination changes the world because it makes us visualize the future or at least the kind of world we would like to live in. Artists are great at doing that. Over the centuries – over the millennia – artists applied their imaginations, using art skills, invention and hard work to understand and express what they were exploring with their minds and hearts and what their images were revealing. It is still a controversy in many circles whether cave art was just a historical rendering of what was going on – or, as Nigel Spivey says in a brilliant BBC documentary series and his book, How Art Made the World, (and I go along with him), that it was the beginning of the expression of the inner life. The reaction to deep emotions felt by our early ancestors in the face of terrible fear and uncertainty. Although living in the same world and in many cases under the same conditions as animals, they differed in that they retained memories and could anticipate events – often very scary ones. These early depictions could well have been made to empower the cave dwellers and show them that they were capable of taking charge of themselves in this wild environment, its known and unknown terrors and its undiscovered joys. The Egyptians, along with many other early societies, started to become very sophisticated in controlling this environment with a very powerful culture. And they communicated this power through images which became a language – hieroglyphics. Their pictures and symbols were often the interaction of animals and people as were the cave drawings but they took on a much more elaborate significance, representing gods and goddesses which in turn represented aspects of human experience and emotion. They showed people what they could be in this life, and that they would continue to exist in an afterlife. The Greeks – also with a pantheon of deities – went a step further and in their stories depicted through images, very often on urns and other pots that were everywhere, spoke of human behaviour and its consequences. Although gods and goddesses were almost always players, they told human stories – of human behaviour and emotion: war, love, lust, jealousy and death, and all their ramifications. You just had to see what kind of trouble someone – human or divine – was getting into to consider perhaps doing things differently – or perhaps to be inspired by their tenacity, or at least understand that even a god could be confused by the human heart. During the Middle Ages, Medieval art turned away from the natural world in an attempt to control it through the expression of the spirit. The nature religions of gods and goddesses were replaced by Christianity. Cathedrals soaring up into the sky with spires and gorgeous stained glass windows lifted people’s eyes to the heavens and to the invisible world of the spirit – to imagine a painless afterlife of beauty and eternal peace. And for a brief moment, through the art, they could have a taste of it. Western culture and individual expression flourished during the Renaissance. A rediscovery of ancient classical philosophy and art brought forth a renewed humanism after it had been set aside by the ecclesiastical and metaphysical systems of the Middle Ages. Although much of the subject matter remained religious, the Renaissance saw the return of the sensual to life and to art. But more importantly, for the imagination, the possibilities open to the human mind exploded. Through the incredible technological advances in art in which artists had much more control over how to depict what they wanted to depict, they began to show the world possibilities never before dreamed of, and a technical skill never before achieved. Romanticism grew out of the failure of the Enlightenment to eradicate human misery. The wonderful ideas of that period could not stand up to a crushing class system. As the free-wheeling, in comparison, Romantic Age unfolded, the worth of every human being was proclaimed and this reverberates to our present day. Revolutions abounded and although terrible in their scope, earned the Western World much of the freedom enjoyed in our present times. As the artists became more individualistic, they showed people that this was possible for everyone. They urged people to imagine a world in which humane societies and individual development are achieved. As a new era began to dawn along with politcal changes, industrialization and technological advances, artists began to embrace art for art’s sake. 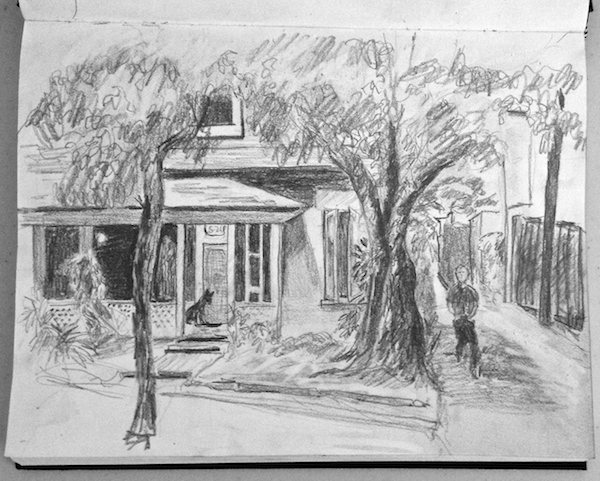 Now that the camera had arrived on the scene, art was no longer as important as a tool for rendering. The Impressionists and the Post-Impressionsts showed the full power of art and its components could be felt and developed as an end in themselves. Light, colour, composition and subject matter celebrated the beauty of life and an ideal to strive for: every day could be a sunny day, and every gathering an occasion for joy – for everyone, in spite of the difficulties of life. When World War 1 occurred, these hopes were dashed. Artists imagining a new world were devastated. Wartime and post war art was bitter, though often still beautiful. But at the same time, a new spirituality arose in the form of abstract art. An interior world that could not be dashed by politics or war. 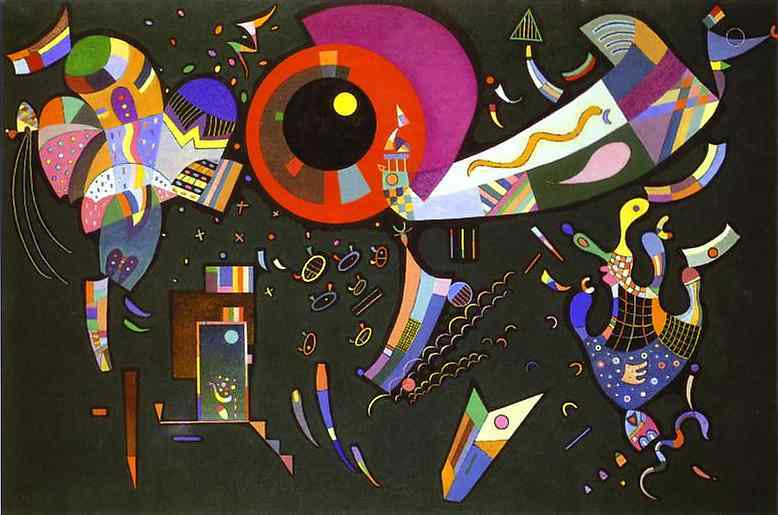 Symbols became paramount again and artists such as Kandinsky strove to make visible the depth, variety and beauty of the inner and abstract life. All of these artists were not just daydreamers. They honed their skills, seeking excellence, and their imaginations, seeking truth. They worked very hard and diligently to best express their daydreams, imaginative flights of fancy, and hopes for the future. They fulfilled the splendid capacity of the human being to be able to focus on the life within and the life without, and imagine a world into existence. This brief outline is a mere (personal) glimpse of what art and the human imagination has done for us – and what we have done and can do with it. We cannot let the world get swallowed up in a sea of corporatism – either through the cutthroat antics of consumer art or cuts to arts funding especially in the schools. Support the arts in your community – and even more important, develop your own imagination in every way possible to be able imagine an ever better world for yourself and everyone else. Oswald is a poet and we can end the blog with his poem – that he made up in the car ( I helped a bit). vision guides us to the unknown. therefore, our journey is never in vain. images are our mentors and our comfort. if we desire and imagine the unknown.